Prime Minister Dean Barrow reasserted his Government’s position last week that until they can come up with “firm metrics” on which zones offshore of Belize will be excluded from petroleum exploration, it will hold off on the issuance of any new petroleum concessions. Oceana says that the inclusion of the two concessions on the latest map, dated May 2013, is “outright disregard” for the Legall ruling. 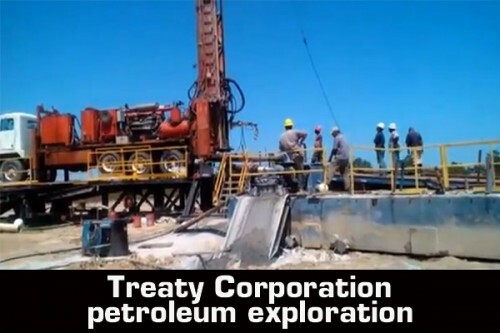 Treaty Energy Corporation, the joint venture partner of Princess, paused petroleum exploration works shortly after the Legall ruling, but announced shortly after that it was resuming works based on the advice of its attorneys and public statements from the Government of Belize. Government’s attorney, Denys Barrow, SC, has argued in court that the contracts were not quashed by Legall, but that the Government is fettered from conducting any oversight of Treaty’s activities. However, Oceana contends that Treaty ought not to be doing any works under the petroleum contracts. “The map clearly shows Princess Petroleum Ltd. and Providence Energy Ltd. with their full offshore oil block intact as if there was never a ruling even declaring said contracts unlawful, null and void,” Oceana said. “This action by the Government’s servants, the Petroleum and Geology Department under the Ministry of Energy, is a flagrant disrespect and disregard for our courts, since Belizeans must keep in mind two principles of law: 1. courts do not make rulings in vain and 2. No court in making a ruling against a Government or the crown needs to take coercive action to force the administrative arm of the state to obey a decision of the judicial arm of the state,” explained Audrey Matura Shepherd, VP Oceana in Belize. The Ministry contends that it had only acted based on the legal advice that it had received, saying that they are obliged to treat the contracts as binding and enforceable by the oil companies, against the country of Belize. “It would take the legal authority of a judgment of the Court, clearly expressed to be binding and enforceable against the oil companies, to quash or cancel the contracts. Only such a judgment can take away the contractual rights awarded to the oil companies. The Ministry repeats: there is no such judgment,” the statement from the ministry said. It added that it is for this reason that it has continued to issue maps showing oil exploration areas held by the various oil companies. “The Ministry ends by pointing out that if Oceana honestly believed the spin it is putting on Justice Legall’s judgment, that it cancelled the rights of the oil companies under the contracts, Oceana would long ago have applied to the courts to stop the continuing exploration activities of the oil companies, or to compel the Ministry to stop them, or to find the Government to be in contempt of court,” it added. Justice Legall has set Thursday, June 20, 2013, to announce whether he will grant Government’s request to put a stay on the injunction against the Government, barring it from acting under the petroleum contracts which Legall had declared to be illegal, null and void due to violations of Belize’s environmental and petroleum laws.